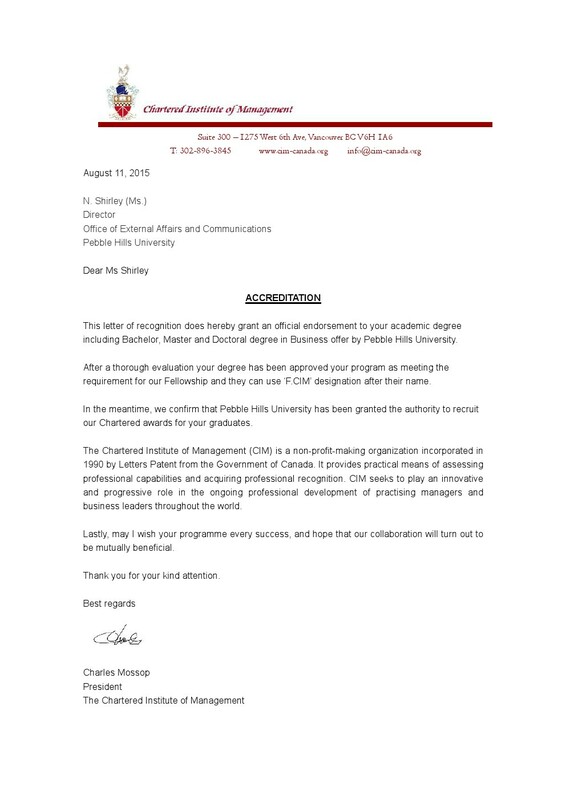 Pebble Hills University is accredited by Chartered Institute of Management, Canada. Please refer to the letter for details. If you are interested in CIM’s chartered awards, professorship awards and fellowships, please contact us at cim@pebblehills.university for details.